Our June edition of Testing Trapeze clashes with my European holiday plans, so Shirley Tricker has kindly agreed to take the reins as Guest Editor. This has prompted me to think about and record what I actually do as Editor of Testing Trapeze. Testing Trapeze started in a rapid fashion. I had the idea on the 7th of January last year and our first edition published on the 15th of February. I didn’t really know what I was getting myself in to when we launched, but I had a clear vision of what I wanted to create. My role as Editor has evolved as I learned what was involved in realising my vision. Though I expect it will continue to change, this is a snapshot of how things currently run. The first step in creating a magazine is finding people to write. I like to approach potential contributors at least three months in advance of our submission deadline. Testing Trapeze follows a consistent structure. There are always five articles written by two New Zealanders, two Australians and one international contributor. There are other informal criteria that I try to meet in each edition - people from different cities, at least two women, no more than one person from my organisation, some people with a strong Twitter following, someone who is writing for a magazine for the first time, etc. We share who will be contributing to our next edition in a ‘Next time in Testing Trapeze’ teaser. This serves a dual purpose by promoting our writers and making a public commitment on their behalf. Prior to publishing this teaser, I send an email to all the people who will appear to confirm that they are actually still happy to write for our next edition. They usually are, though on occasion there is a late withdrawal and I have to find an alternative writer. In the week prior to our submission deadline the writers send in their articles. I think it is important to gratefully acknowledge the receipt of each article immediately. I also remind the writer of our review process, and tell them to expect a reviewed version of their article within a week. I then pair the writer and their article with a reviewer. I find this the trickiest part of my role as Editor, to match personalities and material so that the review process is a positive experience for both sides. When I send the article to a reviewer, I ask them to comment on, or modify, the article directly. There is an expectation that any comments or changes will have an appropriate tone, so that their review output can be shared directly with the writer. Sometimes the reviewer will know who wrote the article. If there are existing relationships between writer and reviewer that may cloud honesty then I generally keep it anonymous. When the writer is a first time contributor, I might ask the reviewer to focus on selecting a few pieces of feedback that are framed in an encouraging way. In every instance I try to remain a middleman in the review process. There are many reasons for this. The reviewer may make comments they believe are fair and constructive that the writer interprets as harsh criticism. The sheer volume of review comments may be overwhelming and disheartening for the writer. The writer may become confused where the reviewer hasn't provided enough detail to guide them in making changes. I read through each review to create a consistent experience for contributors - reframing, adding or removing feedback as I feel is appropriate. When sending a reviewed article back to the writer I always position the feedback as a set of suggestions. The writer has the final say in how many changes they'd like to make after a review. Ultimately it's their article and they need to be happy with what is published. I request a final version of the article within a week and often have to plead for author biographies and photographs too, as people are notoriously reluctant to provide these. Adam Howard does the bulk of the work to create the layout and design of Testing Trapeze. I kick off the process for a new edition by choosing a colour palette, then providing a set of images for Adam to select from. This is one of my favourite things to do. I also share with Adam an initial opinion on the order that I would like our writers to appear on the cover and in the magazine. Often these change when I complete a final review, but Adam requires a starting point to lay out a draft. Halfway through last year I changed the logic I applied to ordering contributors on our cover. Our earlier editions featured the international contributor in the headline position. I started to feel that this undermined our focus as a magazine for Australia and New Zealand. Now the international contributor is always listed last. For other names, the order is loosely based on how well known they are in the local testing community. I choose the order of articles in the magazine based on their topic and tone. I apply some general rules to this. The first article often has a broad appeal. Sometimes there are a pair of articles that cover a similar area, despite there being no theme to our editions. These are split across the second and fourth position in the magazine so that they are separated in the reader’s mind. I often place the longest article in the edition in the middle. Though it is a relatively easy task, I dread writing the editorial. I think this stems from my own view when reading a magazine - the editorial is in the way of what I really want to read. As Editor, I don’t feel like the star of the magazine. I’m simply creating a platform for others to shine. I try to keep my editorial short and focused on acknowledging all our contributors. I don’t want to distract from our consistently amazing content that speaks for itself. As I receive the final submissions from writers these are saved into a shared Google Drive folder. Adam creates a draft version of the magazine, then I do a final review. When we published our first edition this was an intense process. Now that we’re established, this review usually includes a handful of cosmetic changes. This is also the point at which I change my mind about ordering of our articles, though I can rarely articulate the reasons why I want to shuffle things around. I feel that a rhythm appears when the articles are strung together. Our final note is static, it’s always our international contributor. Sometimes the other notes have to move for the magazine to really sing. Ajoy Singha, the Editor of Testing Circus, agreed to host Testing Trapeze on the Testing Circus website as an associated publication. He did this without seeing a single edition, and his instant support of my idea to create a new magazine was incredibly encouraging. When we have a final edition I login to the Testing Circus site to create a draft post that includes a photo of our cover and a list of the articles that are included. 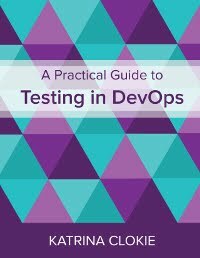 Initially we adopted the same format as Testing Circus for these posts and, now that we’ve published a few editions, I simply copy and paste from previous issues of Testing Trapeze to create new ones. I email the final PDF to Ajoy for him to upload to the Testing Circus site. He updates the draft post with a link, then leaves it for me to review and publish. This works well, particularly as we are working across different timezones. We want to publish when our readers in Australia and New Zealand are actually awake! Once we publish, the final task is to let people know that our latest edition is available. I email all the contributors to the edition, both writers and reviewers, to let them know we have published. I tweet and update our Facebook page. As people start to read the edition, I amplify any positive feedback that we receive. This echo usually lasts about a week, by which point I assume that we have reached everyone who is interested. I try to avoid generating noise in our social media accounts. This approach to marketing relies heavily on Twitter, so I have recently set up a mailing list for Testing Trapeze subscriptions to capture readers who don't use this platform. This list will send one email per edition, or just six emails per year. I hope that we will see many people choose to use this option. Testing Trapeze is a magazine that I am really proud to be a part of.